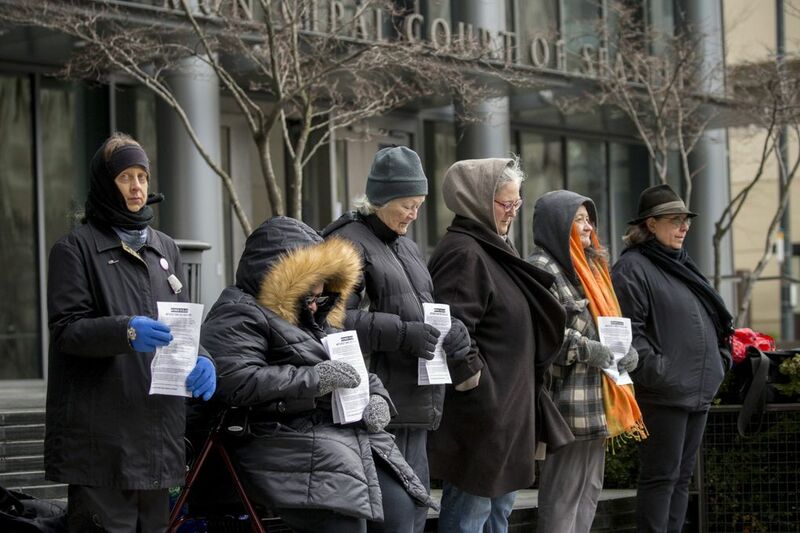 As the snow and rain of earlier days subsided into a biting cold wind, the Women in Black of WHEEL, the Women’s Housing, Equality and Enhancement League, stood vigil outside the Seattle Municipal Court building in Downtown Seattle Wednesday. 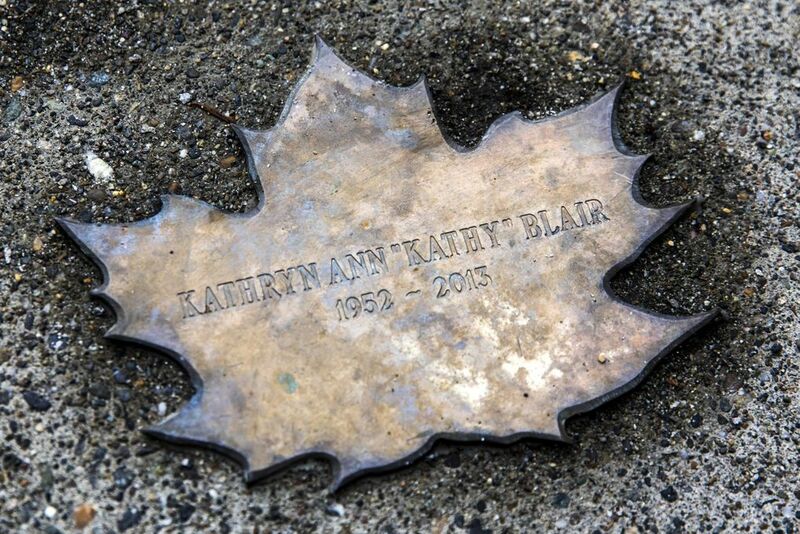 Their noontime, one-hour silent vigil was for 12 known souls – women and men who had died outside or by violence while experiencing homelessness in King County. 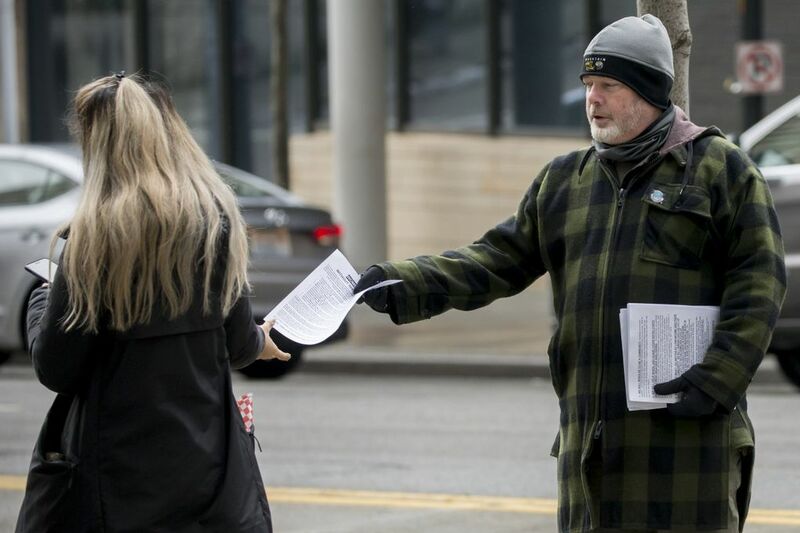 On this day, they read the names of and stood for 11 people who died in January 2019 and for Derek C. Johnson, who was found dead of hypothermia near the Sodo light-rail train platform last week. 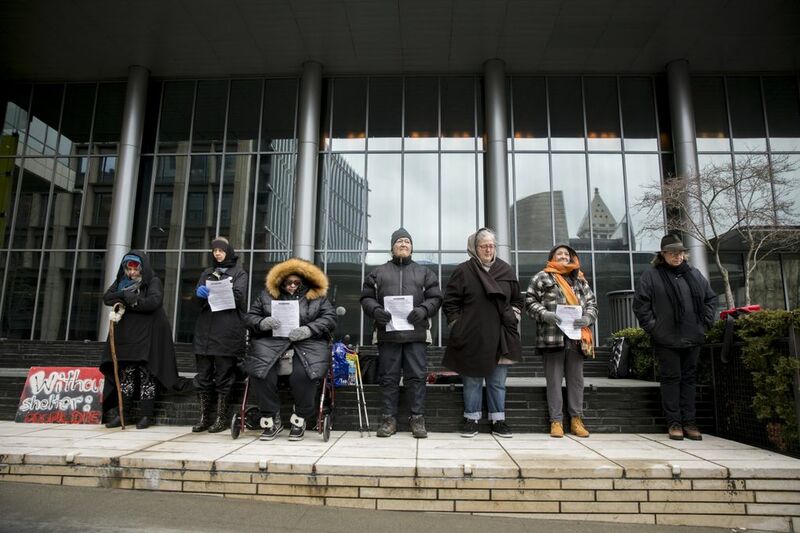 For Michele Marchand of WHEEL, the real cost of so many people living unsheltered in these winter conditions is yet to be revealed as the snow thaws out. “We are not going to know for a while,” she said. To read the full list of names and learn more about the Women in Black and Leaves of Remembrance program, visit fallenleaves.org. For more on this story, watch the 2017 video on the vigil and learn more about the Women in Black of WHEEL.